This book is so filled with color and sweetness (but nothing sappy,) it is just absolutely perfect. This author sees the world how I see it- colorful, beautiful, safe, interesting, and filled with adventures with the ones you love. 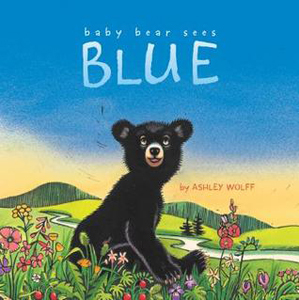 Baby bear experiences all the newness of his world through the colors he sees. He sticks by his mama and feel safe exploring. Love. This entry was posted in children's books and tagged animal stories, books, kids on November 29, 2013 by skylikeme.